No one likes paying for car insurance and no one wants to think about the possibility of being injured in a car accident. However, in a worst case scenario where you are injured in an accident, it becomes apparent just how important car insurance is as it can literally be the enabling factor allowing you to pay medical bills and continue to support your family while you focus on recovery. This is especially true in a no-fault insurance state like Florida. However, Florida drivers are paying at a premium for the benefits of car insurance – literally. 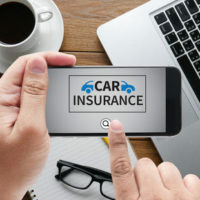 News4jax has reported that Florida drivers are paying the third-highest car insurance bills in the country according to the results of a recent survey. Unfortunately, the average annual premium in 2018 was ten percent higher at $2,050 than the previous year for drivers within the state. Personal Injury Protection, or PIP, is a kind of no-fault insurance coverage that pays medical bills and lost wages in the event of a Florida accident in which the driver suffers injuries, no matter who caused the accident. Under Florida law, every motorist is required to carry a minimum of $10,000 in PIP coverage and after an accident, each driver can generally recover from his or her own insurance company to pay the costs of medical care and other losses. However, the downside is that by law, PIP coverage only covers eighty percent of the medical bills that are incurred in an accident and you have to seek medical treatment within fourteen days of the accident that caused your injuries in order to qualify to obtain this. Why Are Insurance Premiums so High in Florida? The high number of uninsured motorists. According to the Insurance Information Institution, Over twenty-six percent of Florida drivers were estimated as driving without insurance in 2015. Fraudulent claims. While many claims are perfectly legitimate, unfortunately there are other people who strive to fraudulently obtain money in staged accidents. Does That Mean You Cannot Recover From the Other Driver’s Insurance Company? No. You can probably still recover from the driver who caused your injuries under certain circumstances. Especially when your injuries are so severe that they are permanent or when your medical bills and/or lost wages total more than $10,000, regardless of whether you were permanently injured, you should reach out to an experienced personal injury attorney for help. Are You Struggling to Understand PIP After Being Injured in an Accident? We sympathize with what you have experienced and we can help you figure out the best course of action in light of your individual circumstances and insurance policy. Contact the experienced Jacksonville personal injury attorneys of The Pendas Law Firm today and we will help you recover the compensation you are entitled to. The Pendas Law Firm also represents clients in the Tampa, Fort Lauderdale, Orlando, Fort Myers, Miami, Daytona, and Bradenton areas.